The end of season social is just around the corner- we are hoping for bigger and better than last year-make sure you’re there! Awards presented on the night and price includes buffet/drink and quiz – speak to your club rep to confirm your place asap or email nwkorfball@gmail.com for more details. With one whole more training session than in the previous year the North West squad headed down to Nottingham looking to improve on our awesome 4th place finish from 2012. This year was going to be a bit tougher as the tournament was being used for World Games selection so international players were rife. NW had drawn in a group with last year’s winners East Midlands, England U19, South Glamorgan and Oxfordshire. The first game was against the Welsh team, both teams failed to take an early lead both missing a penalty and it was clear that everyone was still waking up their muscles. Emma scored an awesome shot to put us ahead and with 2 minutes to go all we had to do was close out the game. Somehow we let our opponents back into it and they scored right at the death. 1-1 first game! Next up was East Midlands who comprised of a few internationals and a few seasoned pros, all very tough and they took no time in storming to a lead. Big Dave scored an awesome buzzer beater but the ref wasn’t aware of how the shot-clock worked and so the goal didn’t count Dave did manage to get one back a bit later: quick thinking by Dan in the feed spun and won a penalty which Dave converted. Finished 10-1, we won’t talk too much about that! Next up was Oxfordshire – not the University Lauren! – a team of similar level to us and all players motivated themselves for the game. It was a close game, we took an early two goal lead through Emma, Dave missed (and scored) a few more penalties. Oxfordshire got back into it, Fish scored a screamer, Oxfordshire levelled, Emma took us into the lead, we asked for a time-out, we weren’t allowed one, Fish scored again. Boom. Great win! Final score 7-5! Next up was England U19s, not only younger than us but fitter too, Harriet needed restraining! They were okay, can’t remember the scoreline, think they just edged it.. only point worth remembering was that kid schooling Dave and going for the trick shot before being taken out from behind, that’s right Dave, not on my court! So end of the group stage, time for a rest, no we were straight back on court after finishing 3rd in the group and up against the South West. Lots of subs were needed after battling against the U19s and the game was close all the way through! Goals from Thom, Dave, Emma, and Adam gave us a narrow 4-2 victory and we were through to the 5/6 ploy-off against London. London were a strong team, made angrier through their main man having just been booked in the previous game by NW super ref Tom. A good battle ensued but London’s class showed in the end, I didn’t write the score down but we scored one! Awesome day, all was left was the final which Dave reffed between East Midlands and England U19s, plenty of time for Dave to upset the national team to be a bit more with his decisions! Good victory East Midlands! So 6th position (out of 13) for the NW, a great performance and one to be proud of! Thanks to everyone who came down for the day and especially those drivers and Tom for reffing! Sunday (15th July) saw folk from all over the country gather in South Croydon for the 2012 EKA AGM. There was a lot discussed and for the benefit of those who couldn’t make it here’s a quick summary..
Kev and James were representing the NW as well as their respective clubs Warriors and Hawks (though James chose to vote as the NW – sorry Hawks!). The meeting started fashionably late as we waited for quorum but eventually it came and we were off. Nick Donovan, standing down as EKA chair and secretary (busy man!) gave his congratulations for a successful year of English korfball with the England team in China and Trojans in Europe. His main message, however, was to all clubs and areas about the hidden costs of korfball..
Pay coaches and officials properly and on-time, don’t wait to be asked before you pay them – some people may like to offer services for free but it’s nice to be able to offer! Pay for travel for important things – like the AGM (which was under attended by many). Most importantly budget for these! If it’s needed it isn’t a worry, if it’s not then you’re quids in! Another important message was about registering players properly on fixtureslive, this means making players “national members” by filling in all their details and uploading a photograph then clicking “make national member”. It doesn’t cost anything to do and is needed to insure your members! It was also recognised a need for more volunteers are needed for junior korfball – if you’re interested in volunteering with the EKA, NWKA, or at your own club, or even something a bit different, there’s plenty of people to help you develop ideas and give you support. Kev Moss is the NWKA Child Protection Officer and a great starting point for a chat, he also runs KidsKorf which is worth a look to see what they’re doing already in the NW. 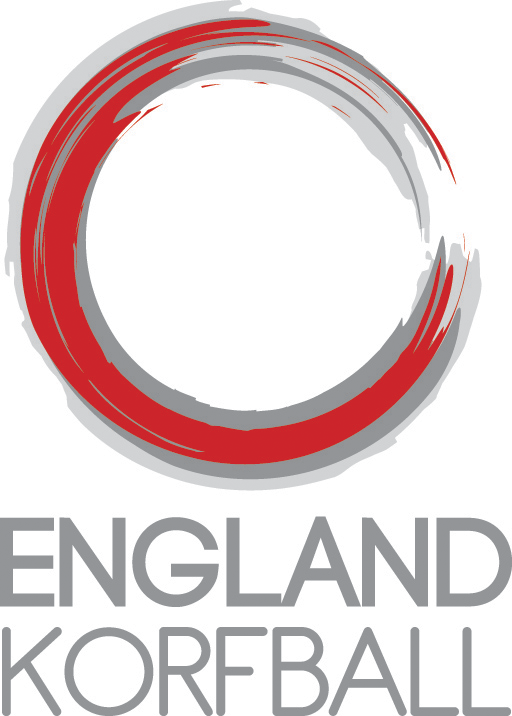 The EKA are also on the lookout for help from volunteers so if you’re interested you can look on the England Korfball website at the volunteer section – the website’s new so if you can’t find what you’re after just use the contact link and they’re quick to respond. Especially the EKA are after coordinators for the EKA Cup and Senior Inter Areas. It was said that without volunteers competitions might not be able to run next season! National Youth Day – £20 (£10 U9s – teams of 4). There was also some discussion about fees for teams which were £200 last season with a proposal to go up a further 3% for the upcoming season. After feedback from NWKA clubs the NW voted against this and were not alone however the proposal was still voted through. The EKA listened to all sides and will try to show all players and clubs – from international to grass roots – the benefits from being part of England Korfball. A quick note from the Graham Crafter of the referee’s development sub-committee was that there should be less post-game disciplinary procedures and referees should not be worried about warning players of their actions and using cards if necessary. The NWKA supports all of its referees and echoes the comments of Graham. There’s no EKA development officer at present, this is a great shame and so if you’re interested in getting involved please do! There is also £10,000 in their budget for development so if you have a good idea they would welcome your proposals and the ability to help you out! The EKA announced their strategy for from now until 2016 – read more here. In short they want more players, coaches, volunteers and officials – don’t we all? – but they have great ideas to take this forward so have a look at it and it might spark some ideas from you. There’s currently 2360 players – this is probably a bit out but it’s a good ball park figure. Last year 101 people took the theory referee exam, I’m pretty sure 20 of these were from the NW so well done everyone! As a final note the NWKA would like to thank those who have done a lot of hard work for the EKA over the last year and those who have stepped up for the next year or more! Thank you! A meeting will be held to discuss the league and cup format for the 2012/13 season on Saturday 24th March. It will be held in the Grand Central Wetherspoons in Fallowfield, M14 6NL. Attendance is not necessary although it’s recommended at least one member from each club is present. Resulting rules and format will be put to the vote at the NWKA AGM. No other league rules will be available for vote at the AGM. Ties will be played on Saturday 17th March at the Armitage Centre. Referees will be assigned by the NWKA committee. Last Sunday twelve players made their way down from the North West to compete in the inter-areas tournament in Nottingham. I say twelve, but really I mean three, the rest were making their way from Leeds after a pre-tournament warm-up tournament. Unfortunately the tournament had managed to take casualties and the twelve were only eleven (I’d say get well soon Tori but this is a week late so you probably have already..). We arrived nice and early, the Leeds lot had brought along a rather yellow Rachel Swallow who’d been selected for GB Students who were playing in a rather tough group of East Midlands and South West. The NW was drawn against the West Midlands and our neighbours from Staffordshire and Crewe. The latter had withdrawn meaning our first game was to decide the group winner and who would avoid the rather scary looking East Midlands! The game started faster than expected and we were soon behind, Adam scored to pull us back and Ben fired in another. The game slowly slipped away from us though and with just over a minute remaining we were 4-2 down. Pete knocked one back for us from distance before Big Dave slammed in the equaliser from downtown! Was enough time remaining for us to win a penalty and Ben to score! We win 5-4, woop!! Showing us what we could have won the East Midlands with a few guests from GB Students made up a scratch team to give us another game. Nothing to note here other than the unorthodox free pass that resulted in Ben’s brother, Jonny, scoring underarm from the corner, nice! So into the quarters, a tough test against the South West who’d warmed up weeks earlier with a friendly against Wales. In comparison some of our squad had met this morning. Not to worry as captain Harriet had been like 007 and scouted out their weaknesses. NW took it to them holding out in defence and coring some great goals. 6-3, easy. Ref thought he’d have a laugh, “It’s a draw, will play golden goal,” jokes! Next up was a strong and organised Kent team, their shots fell from the start and NW morale was down. Lucy finally found her kit and came off the bench to win a penalty. Despite a claw back at the score it wasn’t enough and we were out of the running for top! And so to the 3rd / 4th play-off against Norfolk. We held strong and gave it a good go but again they were just a bit too good. I don’t really remember much apart from Phil Buttinger’s crew from the sidelines making it a loud affair. We lost but went down fighting! Awesome day, no medals this year but we will be back! Massive well done to the whole squad and a thanks to Annie, Thom and Harriet for driving; and not forgetting Mike Brayne and Kev Jones who got us all in shape and picked the squad, we all owe you a pint, and everyone down in Nottingham esp Sam Whittaker who made the day great for everyone!